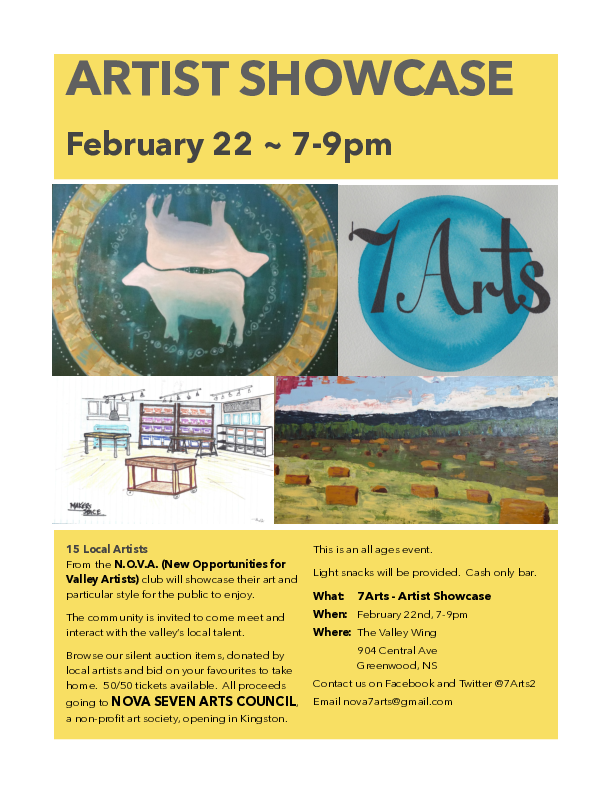 Come meet and experience the talent of local artists. Our NOVA Club of artists will be on hand with their creations. 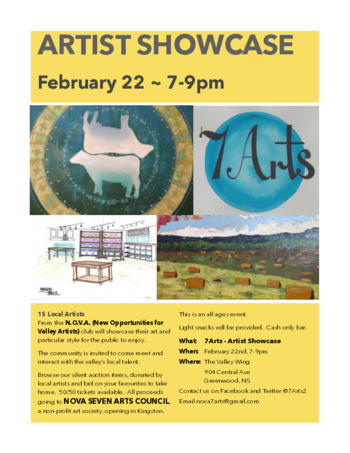 All proceeds go to NOVA SEVEN ARTS COUNCIL, a non-profit art society opening in Kingston. We need a permanent space and you can help make that happen. Light snacks will be provided. Cash only bar. Location: The Valley Wing. Enter through the door on the right, go upstairs (chair lift available) and you will find us in the room through the doors, on the left, that faces the street.